The penultimate night (already?!) of the 2018 season brought the first outing at the Proms of Handel’s Theodora. It pits Paganism against Christianity (again), with Theodora imprisoned for her Christian beliefs, eventually dying for them along with her lover Didymus (a young Roman officer who reveals himself to be a Christian). Ancient Rome and its pantheon of deities goes full throttle against the Christians; in turn, a chorus of heathens praises violence against Christians. Written in 1749, Theodora was what we would call these days a ‘flop’. Box office takings were remarkably poor for this, Handel’s penultimate oratorio (the last was to be Jephtha). Based on a play by Robert Boyle (the scientist, he of Boyle’s Law of Gas Expansion) and to a libretto by Thomas Morell, Theodora is a phenomenally consistent work that centres on intimacy rather than earth-shattering drama. The 1996 Peter Sellars Glyndebourne production is the way many will have encountered the work (the cast included Lorraine Hunt Lieberson, who was also caught in excerpts on an all-Handel Avie disc); it was also a major turning point in the work’s reception history, a reception which, at its premiere, was notably poor. Perhaps, to maintain the positivity, avoid the rather lacklustre Naxos recording. After Theodora’s first performance on March 16, 1750, there were only two more in that run. Possibly it is the serene nature of much of the writing; possibly, also, that the subject lacked the common currency and glamour of many of the Old Testament biblical dramas and classical myths Handel had previously set. To his credit, Handel gives the Pagans some remarkable music (not quite the Devil gets all the good tunes – a multiplicity of deity is hardly Satanism – but a parallel invites itself!). Some of his scoring is remarkable, as are his contrasts of tempos within numbers, not least in the ‘Symphony’ that opens the second scene of the second part. One thing is certain: two and a half hours sped by, a sure sign of involvement. On impeccable form, Arcangelo, a group formed in 2010 by Jonathan Cohen (and Gramophone Award winners two years later) gave accounts of the orchestral contribution characterised by cleanliness, technical excellence and immense musicality. While using small forces, the sheer variety of characterisation in the Overture was fabulous, the sound warm, the rhythms crisp, the allegro brisk and bracing. The horns (Ursula Paludan-Monberg and Martin Lawrence) were wondrously rustic in their contribution to the chorus ‘For ever thus stands fix’d the doom’. This was quite a line-up of singers. Louise Alder, a member of Frankfurt Opera, was on radiant form. Handel’s extraordinarily daring writing with its use of fragmentary phrases separated by pools of silence in Theodora’s air, ‘Fond, flatt’ring world, adieu!’, Alder’s immaculate control and pure sound, and Arcangelo’s reciprocal control made this one of the most potent moments of the evening. Her ‘Angels, evert bright and fair’ was the epitome of grazioso performance, while she spun the long lines of ‘With darkness deep, as in my woe’ superbly. Alder remained fresh-voiced throughout the long evening, maintaining poise and dignity in her Part 2 farewell to Didymus. If the string opening to Irene’s major aria, Part I’s ‘As with rosy steps the morn’ was the epitome of beauty, revealing just how interior period performance can be, Ann Hallenberg was perhaps less connected to the music, ultimately failing to convince. Her voice, which has some edge, contrasted well with Alder’s, but even in the later (Part 3) ‘Lord, to Thee each night and day’ she seemed less than inside the music; this was one of the few tepid accounts of the evening. 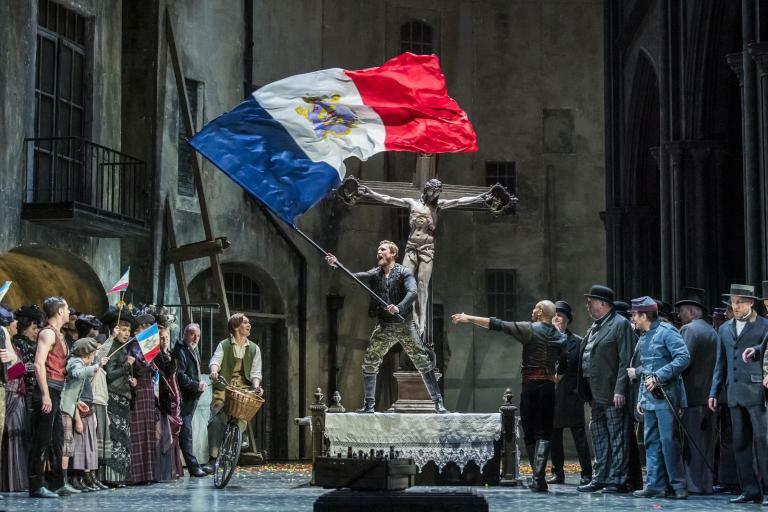 No introduction is necessary, surely, for counter-tenor Iestyn Davies, whose long melisma at the opening of Didymus’ first air, ‘The raptur’d soul defies the sword’ was positively hypnotic. He relished, too, the contrasts of ‘Kind Heav’n, if virtue be thy care’, while ‘Or lull’d with grief’ was positively magical. Handel offers Didymus an aria just before the final short scene, ‘Streams of pleasure ever flowing’, which blossoms miraculously into a duet with Theodora. This was one of the sure highlights of the evening, the two voices a natural extension of the aria. As Valens, the President of Antioch, bass Tariz Nazimi was blessed with a big voice; a touch more characterisation would have lifted his performance, particularly in a rather low-voltage ‘Racks, gibbets, sword and fire’; and more authority to ‘Cease, ye slaves, your fruitless pray’r!’ would have helped. Arguably the weakest (of an admittedly strong cast) was tenor Benjamin Hulett’s Septimus. He has a lovely voice, but the melismas in his air (actually a prayer), ‘Descend, kind pity, heav’nly guest’ were none too convincing. He was underpowered, too, in his Part 2 air, ‘Though the honours that Flora and Venus receive’. Only in the final pages, at ‘Destroy’d, alas, by an unhappy constancy!’ did he find a real presence. The choral contributions throughout were beyond criticism, lines beautifully delineated. Whether it is a reflection of the times, it is worth commenting in the context of this year’s Proms that the audience was remarkably silent and applause was held until the end of each part. Bliss, in comparison to some Proms this year.